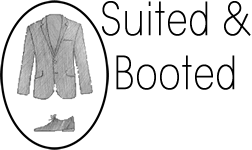 Suited & Booted is a charity that helps vulnerable, unemployed and low-income men into employment by providing interview clothing and interview advice. Our clients may be struggling and in need of support, both financial and practical. They may not have the means to wear suitable clothes to ‘look the part’ and therefore unable to give themselves the best possible chance at a job interview. We give our clients suitable clothing – perhaps a formal suit or a smart casual style – and then guide them through the process of a job interview. This gives them better prospects of success and contributes to their general self-confidence and self-esteem. We aim to make a difference so that our clients can move forward with the ability to succeed and find their own way in society. We are a new charity and rely upon the help of volunteers, financial contributions and clothing donations to continue the work that we do.